In 1976, Gerald A. Sypitkowski, an off-duty police officer, was shot in the head and killed during an attempted robbery outside a Detroit bar. Witnesses, including Sypitkowski’s partner, said the shooter was in a white Lincoln Mark IV, which was registered to Leslie Nathanial, reportedly a local loan shark. 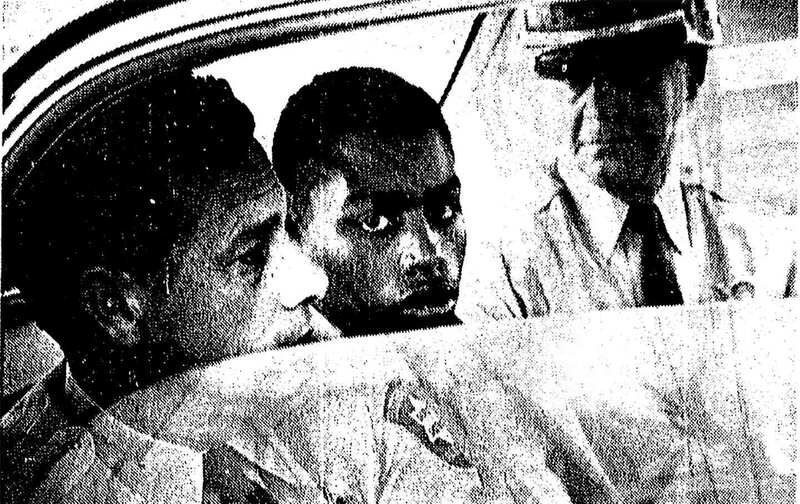 Four teenagers, including 17-year-old Charles Lewis, were later arrested. In a deal brokered with the Wayne County Prosecutor’s Office, three of the teenagers agreed to testify that Lewis had shot Sypitkowski while riding in the back seat of a yellow Gran Torino, rather than the white Lincoln that was reported by several witnesses. Over the course of two trials (the first one was dismissed), Lewis’s lawyer, M. Arthur Arduin (now deceased), failed to call any alibi witnesses for Lewis. Apart from the three other teenagers arrested, none of the eyewitnesses claimed that a yellow car had been involved in the crime. Lewis has repeatedly insisted that he asked the judge to remove Arduin as his lawyer and had his request denied. He also says that during his opening arguments, Arduin described him as “part of a gang” skilled at stealing cars. At his second trial, Lewis was convicted of first-degree murder and received a mandatory sentence as a juvenile of life without parole (JLWOP). Not yet out of his teens, Lewis would be spending the rest of his life in prison. After the Supreme Court ruled in 2016 that JLWOP sentences should be given only in cases of “irreparable corruption,” Lewis applied for a resentencing. But as he began preparing for court, he discovered that his case file was missing. Judge Qiana Lillard ordered the two sides to figure out a way to reconstruct the file. According to Nicholas Bennett, Lewis’s new defense attorney, this was unprecedented; he argues that Lewis’s conviction should be dismissed outright, since the prosecution cannot verify any facts from the trial itself. While it’s not clear what happened to the file, the defense has asserted in court documents that the boxes of papers were misplaced at the clerk’s office and possibly destroyed to prevent the county prosecutor’s office from reexamining the case. 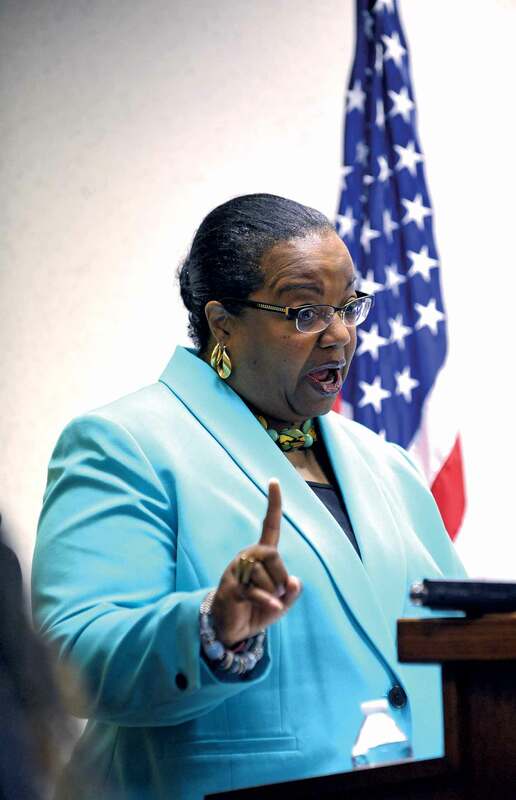 The current county prosecutor is Kym Worthy; her office has publicly admitted that a number of case files were destroyed in 1995 by her predecessor. To complicate matters even further, there’s a document from 2000—one with its own docket entry—stating that Lewis’s conviction had been overturned. Since the court record is missing and was likely destroyed, there is no way to determine if this order is legitimate. (The prosecutor argued, and a judge agreed, that the order was forged, because “it just doesn’t add up.”) The same problem will apply to all of the other documents, Bennett says. The practice of sending kids to prison for life is dying out—but not everywhere. Now, four decades after his conviction as a juvenile, Lewis is still serving time. Eight US presidents have come and gone; entire regimes have risen and fallen. And yet Charles Lewis remains in prison. The Supreme Court made Miller v. Alabama retroactive in its Montgomery v. Louisiana decision, ruling in the latter that people sentenced as juveniles to mandatory life without parole needed to be given a “meaningful opportunity” for release. As a result, counties across America are scrambling to resentence men and women who have already served decades for crimes they were convicted of in their youth. One by one, states have also responded to these decisions by beginning the process of eliminating draconian sentences for young people. At one point, more than 2,000 juveniles in the United States were serving a sentence of mandatory life without parole. As of this year, 19 states—red and blue—and the District of Columbia have eliminated these sentences entirely, and several have no prisoners serving them. The practice of sending kids to prison for life is dying out. But not everywhere. Yet even relatively progressive prosecutors like Worthy have ended up imposing long sentences in JLWOP resentencing cases. In the wake of the Supreme Court’s Miller and Montgomery decisions, the Michigan Legislature passed a statute stating that “the court must resentence a defendant to a term of imprisonment for which the maximum term shall be 60 years and the minimum term shall be not less than 25 years or more than 40 years.” Worthy interpreted this language to mean that she could not seek less than the 60-year maximum, and her interpretation prevailed in the Michigan Court of Appeals, in a case called People of the State of Michigan v. Zerious Meadows. Since then, the majority of juvenile lifers in Wayne County have been resentenced to terms of a minimum of 25 to 40 years with a maximum of 60 years in prison with the possibility of parole. These long sentences take the circumstances of the individual prisoners into account (as required by the Supreme Court’s Miller ruling) only to a limited extent, in part because some of the case files and court records have been lost. There is still some question, yet to be resolved by the courts, as to whether the 60-year maximum sentence mandated by Michigan statute in fact amounts to life. Even John O’Hair, a former Wayne County prosecutor who sent more than 90 juveniles to prison for life without parole, now argues that 40 to 60 years in prison is essentially a life sentence—one that he regrets. Michigan defense attorney Deb LaBelle says that no one sentenced as a juvenile to 60 years in prison has lived to see the end of their term. Other courts have considered whether sentences that exceed a person’s natural life expectancy might be unconstitutional when imposed on juveniles. And last year a Louisiana court ruled that juvenile sentences amounting to life imprisonment were unconstitutional, just as an actual life sentence for a juvenile would be. In fact, in many of these cases, the prosecutors were originally willing to settle for a far shorter sentence if the defendant pleaded guilty; they clearly didn’t believe that a vital state interest was being served by sentencing a juvenile offender to decades of incarceration. Today, many JLWOP inmates have served far longer sentences than they might have received had they taken a plea deal. According to a report by Harvard Law School’s Fair Punishment Project, nearly one out of every three current JLWOP inmates were offered a plea deal that averaged some 20 years. Having chosen a trial instead, they received a life sentence upon losing their case—in effect being punished for going to court as a juvenile offender. One of these people is Cortez Davis, who was 16 years old when he took part in an armed robbery in which his friend shot and killed someone. Davis didn’t pull the trigger, and the prosecutors don’t dispute this. Davis was also parentless at the time; he grew up hungry and abused by a mother who suffered from severe drug addiction, while his father died from an overdose when Davis was 9. Child-protection workers removed him from his mother’s home at the age of 10, and by eighth grade Davis was working to support himself and his siblings. 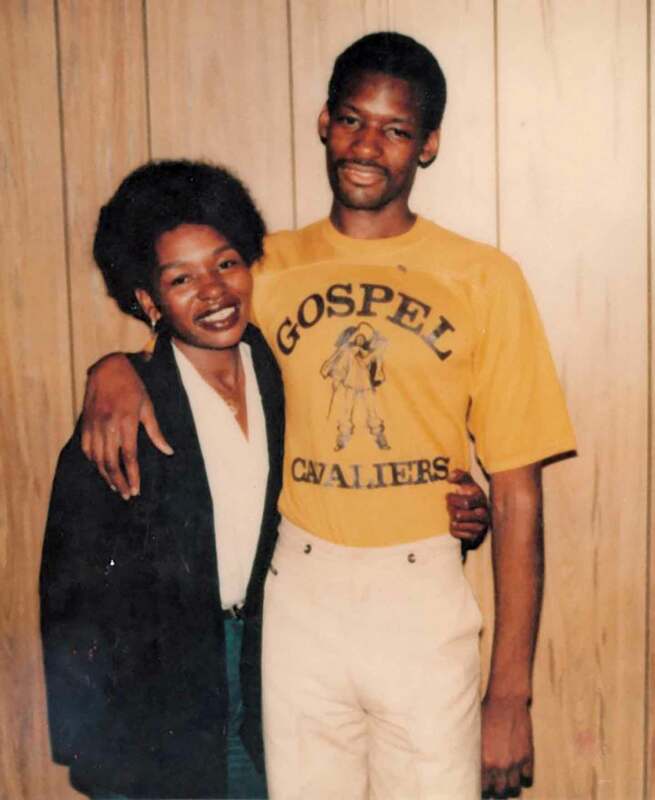 The original judge in Davis’s case gave him a 10-to-40-year sentence in 1994 because she believed that he was “salvageable.” But that sentence was overturned on appeal, and Michigan law required that the judge impose a sentence of life without parole. 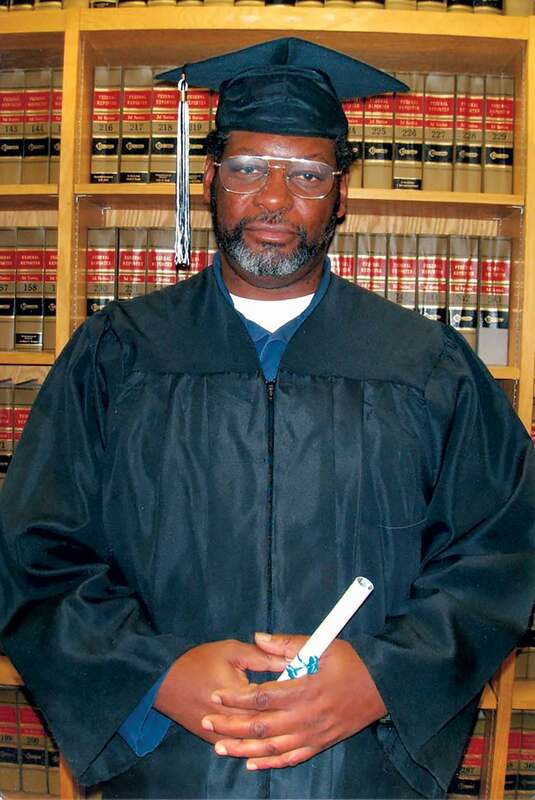 True to the judge’s earlier prediction, Davis changed a great deal during his time in prison, earning his GED and completing many law classes. He has sought to become a youth mentor and has no disciplinary problems or record of violence. Yet when Worthy agreed to a resentencing, she argued for a 28-to-60-year term consistent with her interpretation of the statute. The judge handed down a sentence of 25 to 60. This new sentence is at least 15 years longer than the first sentence imposed by the original judge. Worthy’s office responded to my questions about sentencing in general as follows: “The Wayne County Prosecutor’s Office reviewed all available material in each of the 144 Wayne County juvenile lifer cases. Because the law requires us to consider each case on an individual basis, the Office did not keep statistics as to what information was available for review as to each specific case.” But Worthy’s office would not speak with me about specific cases, including those that involved missing documents. Nor would it provide me with details explaining why it was seeking a particular punishment in any given case. Editor’s note: An earlier version of this article misstated the term of years prosecutor Kym Worthy requested in the resentencing of Cortez Davis. It was 28 to 60 years, not 25 to 60. The text has been updated.